You may not know that the rose is America’s National Flower (maybe you didn’t even know we had one), voted on by Congress in 1986. There are many breathtaking rose gardens on the East End, most of them private, but there are some public rose gardens, too. The beautiful color or intoxicating fragrance of a rose can be irresistible. 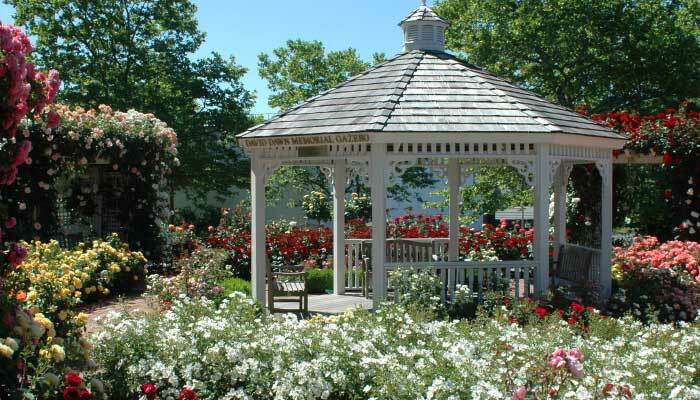 If you’ve ever considered adding some roses to your landscape here’s a quick introduction. Roses are perennials that remain in the garden year after year, and they come in a variety of forms. Bush roses, such as hybrid teas and grandifloras, are the best known. They need the most care but offer big rewards in color and abundant bloom. Shrub roses tend to be larger plants, and this group includes heritage varieties that have been grown for hundreds of years, many of which delight with heavenly fragrances and are important to perfumery – damasks and cabbage roses are two classics. 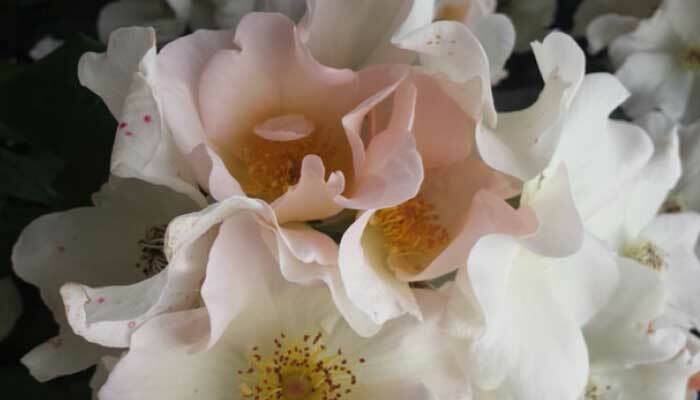 English plant breeder David Austin has created modern roses that combine the fragrance and color of ancient varieties with the adaptability and hardiness of contemporary ones. More recently the rose world has been introduced to landscape roses. These lower growing shrub roses, such as the Knockout varieties, are hardy, rebloom all summer, and are easier to maintain than some of the classics. 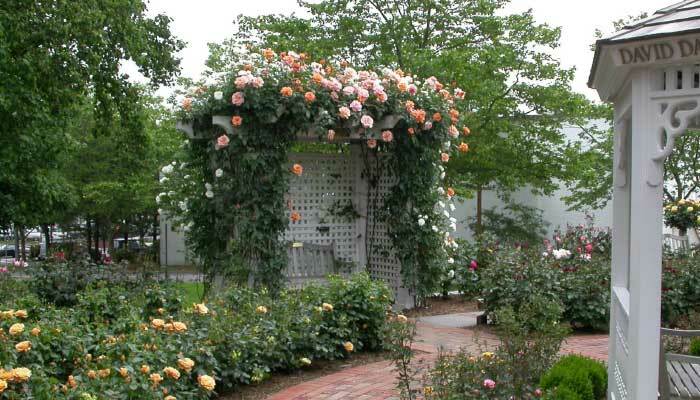 Some other roses climb high on long stems and are delightful fastened to arches, arbors and trellises. There are miniature roses, too, whose little flowers bloom on elfin plants that can populate small gardens or pots. Traditionally roses have been grown in gardens by themselves, which makes caring for them easier than when they’re mixed with other plants. But you can also combine roses with other kinds of flowers. 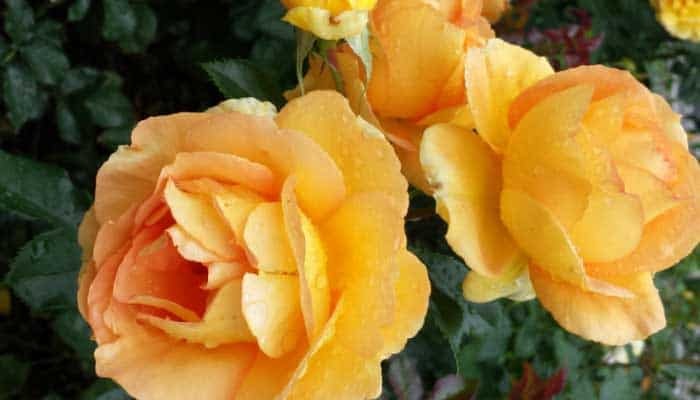 Landscape roses work well in mixed flower gardens and can also be planted as a low hedge along the edge of a garden bed. Roses need sun to thrive, and plenty of water. If you are planning to grow them, make your garden in a sunny, open spot that gets a minimum of 4 hours of sun a day — 6 hours is better; the ideal location faces east and gets morning sun. They also need good drainage, so soil preparation is important. Soils vary across the East End. If yours is sandy, add compost to it before you plant; if your soil is loamy, add some horticultural sand (not beach sand!). Roses do need care – in dry weather they need to be watered, regularly and deeply. In early spring they need pruning to remove any dead or diseased stems and to promote new growth to produce lots of flowers. If you are not an experienced gardener, hire a knowledgeable and experienced landscape company (not just your lawn mower) who can do the job. 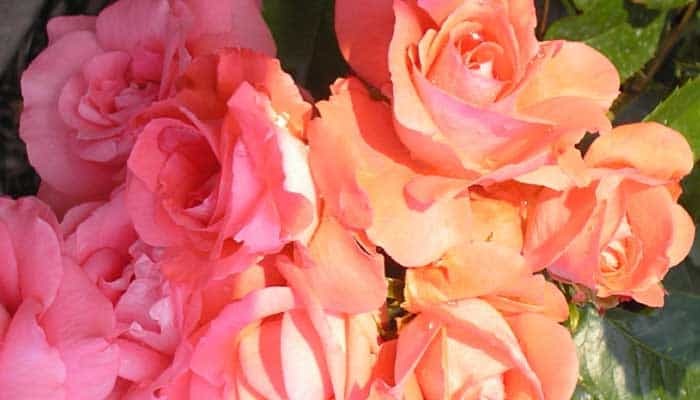 One way to really enjoy your rose garden – and surround yourself with the colors and fragrances of the flowers – is to remove the faded flowers from the plants. Take a pair of sharp pruners or garden shears to the garden along with a bucket and cut the faded blossoms from the plants. Cut the stems about a quarter inch above the nearest leaf that has 5 leaflets (a new flower stem can grow from that point). Above all, enjoy roses. 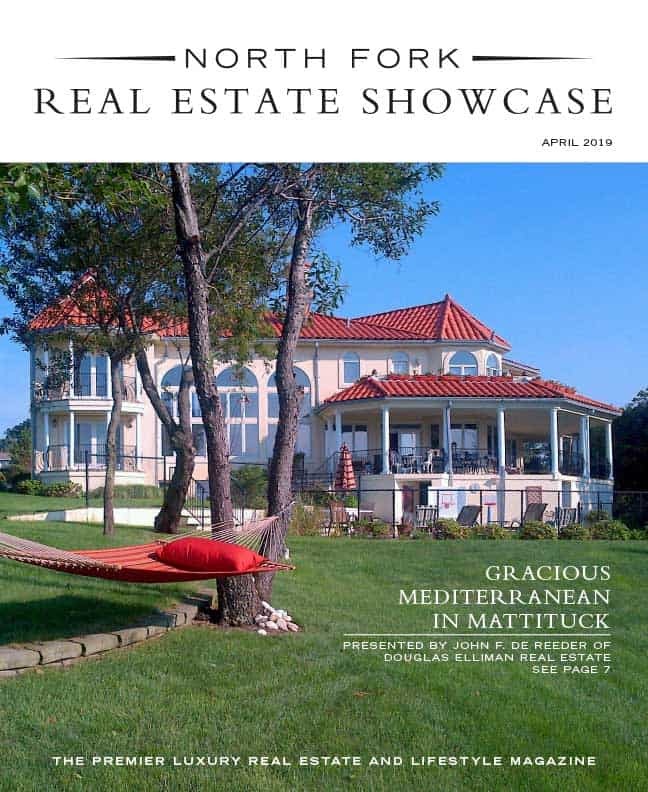 If you don’t grow them, go to see them, in nurseries and garden centers or in public gardens (see the sidebar for some places to see roses on Long Island). Roses are delightful as cut flowers, whether you grow them or buy them. For the longest life in the vase, add some cut flower food to the water (available at florists and craft stores) and every day change the water in the vase and cut a half inch off the bottom of the stems so they can continue to absorb water. Fill vases and bowls with roses, or combine them with other flowers from your garden, a florist or farm stand, or make a bouquet to give as a gift. Buying roses is less costly in summer than in winter for Valentine’s Day. You can also dry rose petals to use in potpourris and sachets. However you enjoy them, take time to smell the roses.